Wed, Feb 13, 2019, 11:55 pm SL Time, ColomboPage News Desk, Sri Lanka. 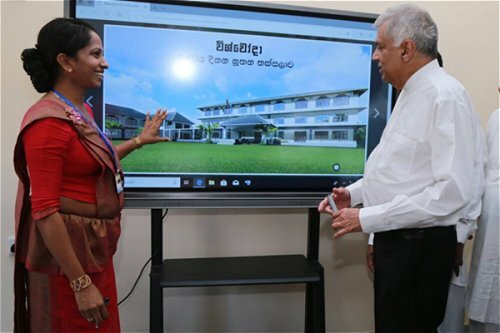 Feb 13, Colombo: Sri Lanka's Prime Minister Ranil Wickremesinghe says a 20th century education cannot face the challenges of the 21st century and a modern education system fit the fit for the 21st century should be established in the country. 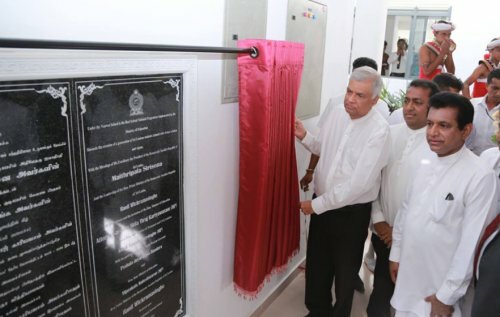 Prime Minister Wickremesinghe made these remarks while participating as the Chief Guest in the the opening ceremony of the Vishvoda National School in Kurunegala today. The Prime Minister who arrived in the school this afternoon opened the plaque and vested it with the students. Thereafter, he joined an observation tour of the school. The Vishvoda National School built under the Education Ministry's "Best School- Nearest School" program with state-of-the-art technology is equipped with all facilities including computer laboratories, auditoriums, digital classrooms, and swimming pools. 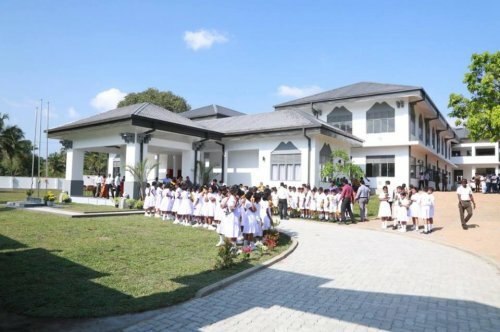 The construction of the school began in 2018 and 350 million rupees was spent on the construction of the first stage. The total cost of the project is Rs.1 billion. The school, which provides education from 6th to 13th grade, will teach new syllabuses including languages using modern technology. 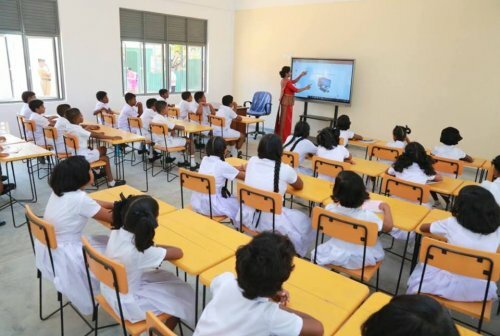 Addressing the gathering, the Prime Minister recalled that the personal computers debuted when he became the Education Minister in the early 80's and it was then TVs were introduced to the country's schools. "This was how we started. But today is the 21st century. The challenges of the 21st century cannot be met by the educational process of the 20th century. A 21st century education system should be created to face the 21st century," the Premier said. He added that this government made 13 years of education compulsory and in the past few years the government resolved the shortcomings in schools, constructed new buildings, provided equipment and considered new methods. "In the next 5-6 years, we have to develop a fully-fledged education system," the Premier said. Education Minister Akila Viraj Kariyawasam, Buddha Sasana and Wayamba Development Minister Gamini Jayawickrema Perera, State Minister of Transport and Civil Aviation Ashok Abeysinghe, Ministry of Internal Affairs, State Minister of Minister of Internal Affairs, Provincial Councils and Provincial Councils J.C. Alawathuwala, Deputy Minister of Development Strategies and International Trade Nalin Bandara and North Western Province Governor Peshala Jayaratne Fixed participated in the occasion.